As one of the world’s leading manufacturers of eyewear lenses, the Vision Care business group of Carl Zeiss combines ophthalmic expertise and solutions with an international brand. 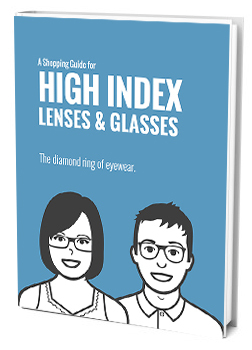 They develop and produce technologically-advanced instruments, services, and products, including high index lens material, for distribution throughout the world. With 1.74 high index material producing the thinnest and flattest lenses available for prescription eyeglass use (1.74 high index lenses are approximately half the thickness of standard, 1.50 index plastic lenses), and Zeiss Vision Care being one of the premier lens companies with a history dating back to 1846, it’s logical to assume that Zeiss 1.74 high index lenses are a hot commodity. And they are, with Zeiss 1.74 lenses selling in the same price range as other high-end high index lens companies like Nikon and Seiko. The quality, reputation, and clarity of Zeiss lenses results in the premium price they command on the open market. For instance, a standard Zeiss lens can cost almost four times the price of a standard lens from lesser-known manufacturer. And a 1.74 high index Zeiss lens can run almost double the price of the standard Zeiss lens – meaning the Zeiss 1.74 lens will cost nearly eight times as much as a standard lens from another company. Of course, you get what you pay for, and in the case of Zeiss Vision Care, the optical quality of 1.74 lenses is about the best you can find. 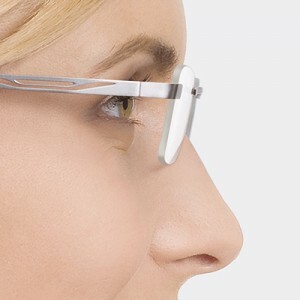 Zeiss eyeglass lens blanks are made from optical-grade polymers that are first molded to incredibly tight product specifications in a carefully-controlled manufacturing process. This process relies on extensive chemical engineering and quality control to produce lens blanks that are completely transparent, extremely durable, and optically precise. The front surface of each lens blank is molded in the shape of a precision optical design that has been calculated by lens designers working in conjunction with vision scientists at Carl Zeiss Vision. The back surface of the lens blank is molded with a temporary surface that will eventually be machined and polished to the desired prescription curves using a precision, computer-controlled lens fabrication process. The lenses are then tinted and treated, if necessary, and coated with an extremely hard scratch-resistant coating, which is cured using heat. Finally, the lenses are coated with a premium anti-reflective coating using a sophisticated vacuum deposition process. The development, design, and quality-control applied to this process results in customized prescription lenses that are the thinnest, lightest, and most optically precise of any product available, anywhere in the world. They may be more expensive than other 1.74 options, but many people feel their vision is worth it.